You read that right. On the Atlantic cruise from Modena, Italy to the U.S., the 4C tacked on 342 pounds, and it wasn't from the all-you-can-eat steak and shrimp buffet. The linebacker-plus weight gain is partially thanks to the feds, which required a slew of safety and structural improvements over the Euro-spec model. That includes a thicker carbon fiber tub, side airbags, and an adjustable passenger seat. But it also means that the claimed curb weight of 2,495 pounds includes an estimated 33-percent take rate on options, as mandated by the EPA. But you can't entirely blame the federales. 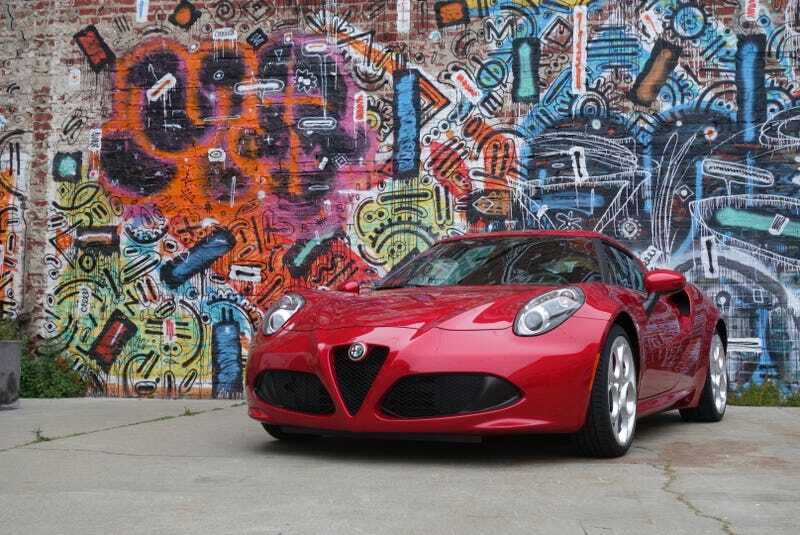 Unlike the European's 2,153-pound 4C, the U.S. model gets standard A/C and radio. Which makes perfect sense for a sports car starting at $54k. But you still have to UNBOLT the driver seat to move it up and down.